Even now, 17 years after its launch, its name is still whispered with reverential awe. 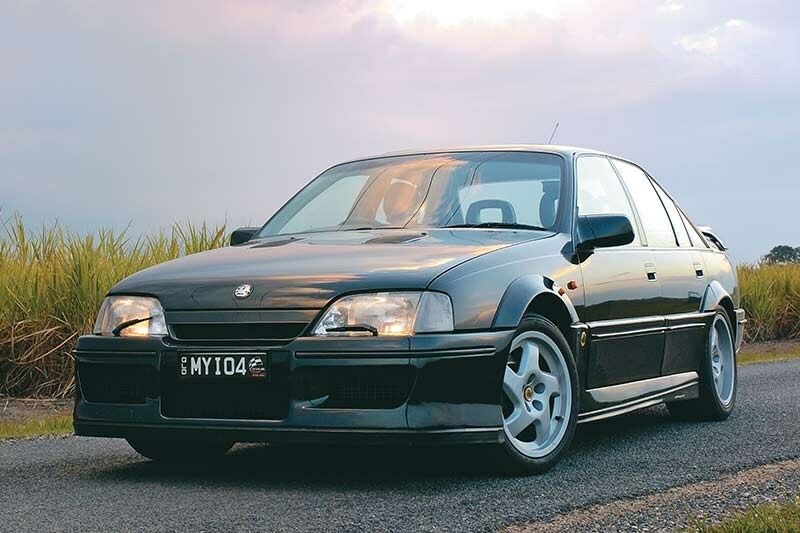 Its power and performance figures may have long been eclipsed, but still the Lotus Carlton remains the ultimate expression of its breed. And the bad-assed blueprint for every über-sedan built ever since. 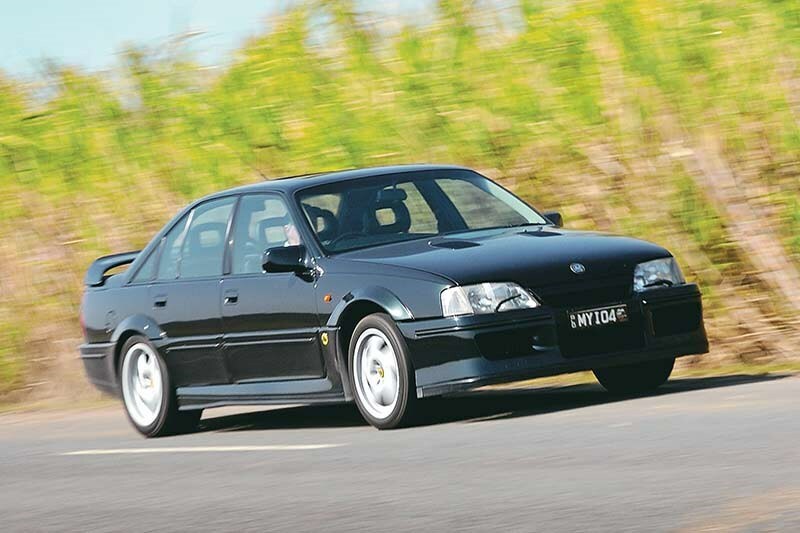 Launched at a time when the likes of BMW and Mercedes had just kowtowed to political correctness by limiting their machines to 250km/h, the ballistic Vauxhall Lotus Carlton was a car destined to deeply polarise public opinion. To the cognoscenti, it was a 283km/h, twin-turbo technological tour de force, capable of destroying anything on the sane side of a Ferrari F40 while carrying five people – and costing a hell of a lot less. To everyone else, it was simply the most dangerous and irresponsible car ever made. In retrospect, no one should have been surprised by the furore caused by the Lotus Carlton. After all, Vauxhall had always been the purveyor of sensible, practical cars for those of the cardigan-wearing persuasion. Now, all of a sudden, the Griffin had done the unthinkable; it turned a humdrum runabout into the fastest four-door in the world. In truth, not since the height of the muscle car era had the performance of a production car caused so much controversy. As word of the Carlton’s epic top speed leaked to the mainstream media, the nation’s middle class suburbs began to reverberate to the sound of decent, upstanding folk choking on their tea as they fumed over the tabloid papers’ angry headlines. ‘Killer Family Car’, screamed the Daily Mail, branding the super-Carlton as a ‘cause for public concern’. ‘An outrageous invitation to speed’, raged the Association of Chief Police Officers to anyone that would listen. Indeed, so shrill was the level of moral panic that some of the more nervous souls in Westminster even began wondering out loud about the Carlton’s right to exist. But while Lotus was very careful not to include the Carlton’s top speed in any of its official literature in order to avoid fanning the flames of public unrest, the boys from Hethel loved every minute of it. No amount of money could have bought this publicity. 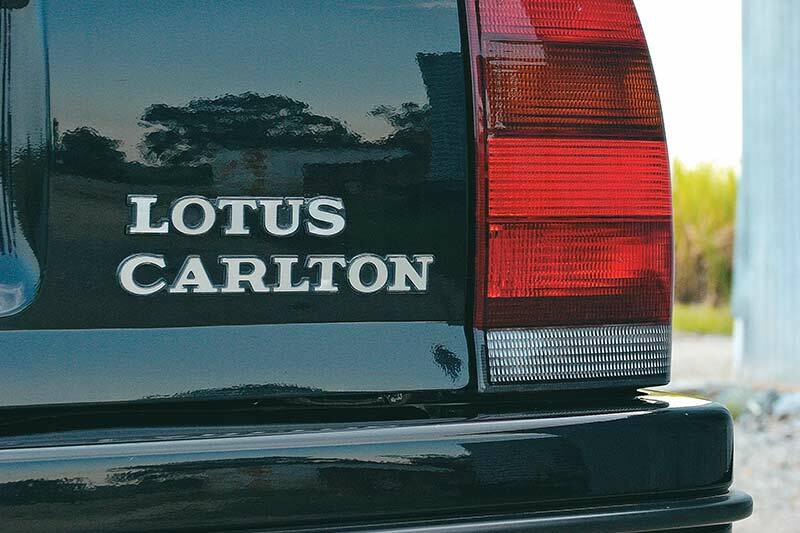 Rewind to 1987 and the Carlton’s story begins just one year after General Motors bought Lotus. Understandably keen to make the most of his latest acquisition, GM Europe boss Bob Eaton got together with Lotus chairman Mike Kimberley to come up with a car that would add a little spice to the otherwise insipid Vauxhall/Opel range. 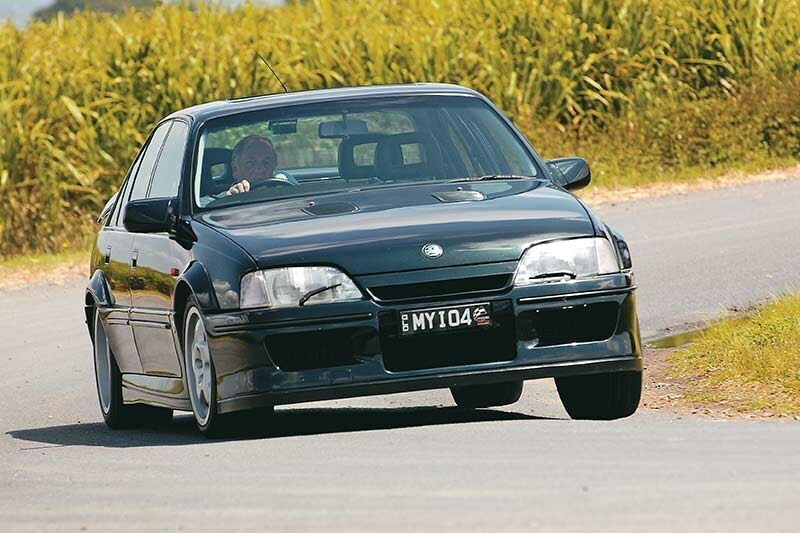 In truth, there really was little to choose from, but with its rear-drive chassis and eminently tuneable 3.0-litre straight-six, the range-topping Carlton GSi looked to be the most promising platform. So it was that by the end of the year, the project had won GM’s approval and the Lotus Type 104 was born. It was time to go M5-baiting. Never before had a series production car been put together quite like the Lotus Carlton. And unless a manufacturer is dead set on bankrupting itself, there will probably never be another car built in the same way again. Instead of just supplying Lotus with the components it needed, GM took virtually complete GSis off the line at Opel’s Rüsselsheim plant in Germany and transported them straight to the old DeLorean development shed at Hethel where they were stripped back to bare shells. There, on a U-shaped line, the GSis were methodically disassembled. But while all the original engines and drivetrains were shipped back to Germany to be used again and the seats sent off to be re-trimmed in Connolly leather, most of the Carlton’s running gear simply ended up in the bin. Although Lotus was never given a specific power output to achieve, the Hethel engineers knew that the six-cylinder mill would have to be completely reworked in order for the Carlton to be capable of showing the 234kW M5 a clean pair of heels. To begin with, Andrew Arden and his team stroked the motor by 8.7mm to increase capacity from 2969 to 3615cc. At the bottom end, additional webbing was used to reinforce the original cast iron block, while a set of specially designed Mahle forged alloy pistons was used in conjunction with a bespoke forged steel crankshaft to churn out the engine’s prodigious grunt in as smooth a fashion as possible. At the black heart of the Carlton’s engine sat a pair of Garrett liquid-cooled T25 turbos, fed by a custom-made ‘chargecooler’ and equipped with individual wastegates. With the boost turned up to 0.7bar and the compression set to 8.6:1 the Carlton was capable of developing an astonishing 281kW at 5200rpm and 568Nm at 4200rpm. 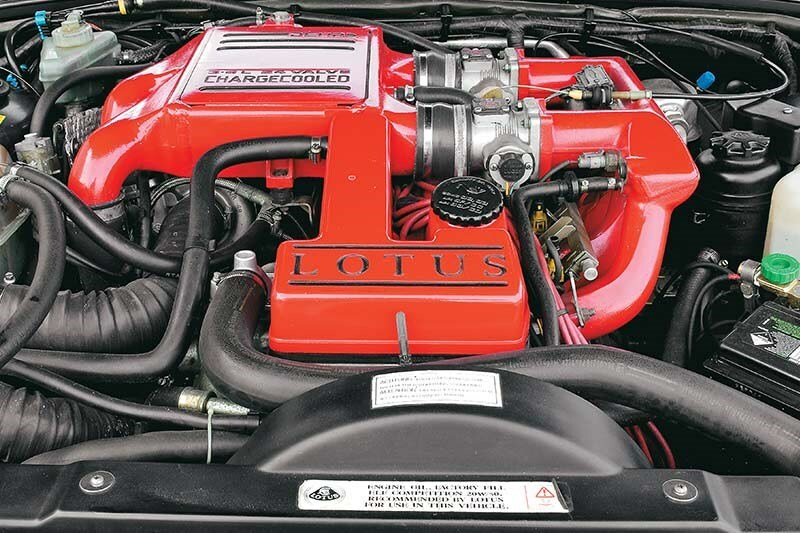 To deploy all this violence Lotus lifted the six-speed gearbox straight from Chevy’s ZR-1 Corvette; however, unhappy with its shift action it had ZF rework the unit at horrendous expense. From there, drive was transmitted through a heavy-duty 241mm Sachs clutch with a modified Holden differential sitting out back. 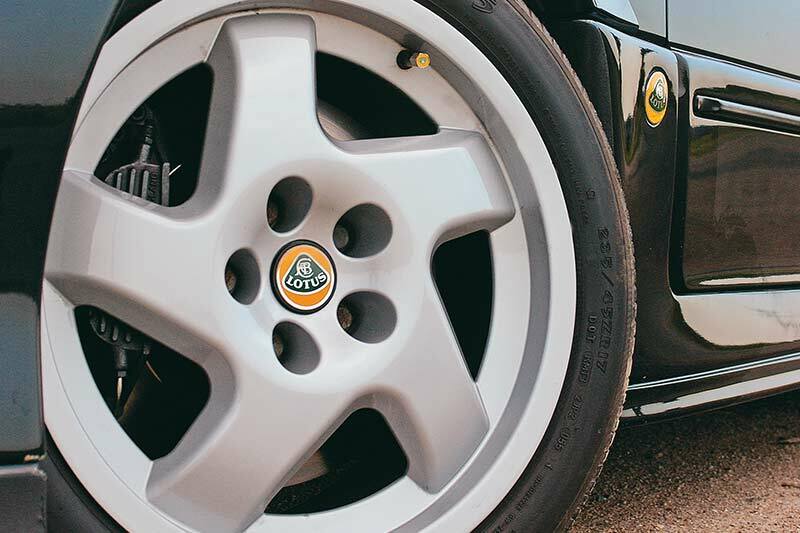 To make sure that the Carlton would have sufficient stopping power to pull it down from such stratospheric speeds, Lotus turned to AP Lockheed to provide a set of brakes from its Group C racing programme. Needless to say, with extensive fine-tuning to improve their feel, they were more than up to the job. While the Carlton’s basic chassis architecture was retained, Lotus thoroughly re-worked the suspension to ensure that the 104 had the handling to match its pace. A set of massive Ronal alloys shod with specially-developed Goodyear Eagle tyres completed the impressive handling package. Naturally, a bling set of rims was just the start of the Carlton’s much-needed cosmetic makeover. Bulging fibreglass wing extensions were tacked on to cover the larger rims, while massive front and rear spoilers not only served to complete the LC’s steroidal aesthetic, but also cut lift at both axles to zero. With the prototypes up and running by mid-1988, Lotus embarked on an arduous 18-month development programme, taking the Carlton to Nardo in Italy for high-speed testing where it could be run flat out for 20mins at a time before its 75-litre tank ran dry. It was there on the banking that the magnitude of the task became all too apparent, as everything that could overheat did. Oil coolers were added to practically every component to ensure reliability, while the chassis and aero package were optimised for greater high-speed stability. 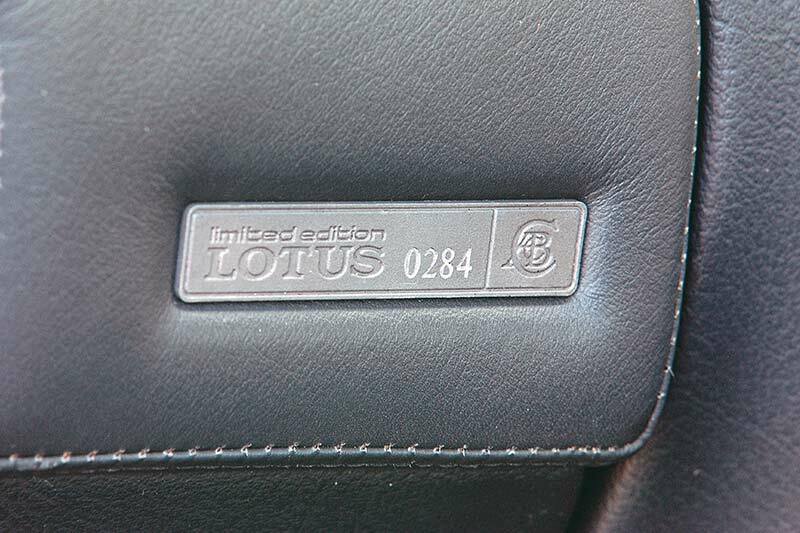 Once it was pronounced safe and reliable at V-max, Lotus officially quoted the Carlton’s top speed as 283km/h with a corresponding 0-100 time of 5.2secs. The truth, however, was far more impressive, with independent tests turning out 300km/h and sub-5.0sec 0-100 times. 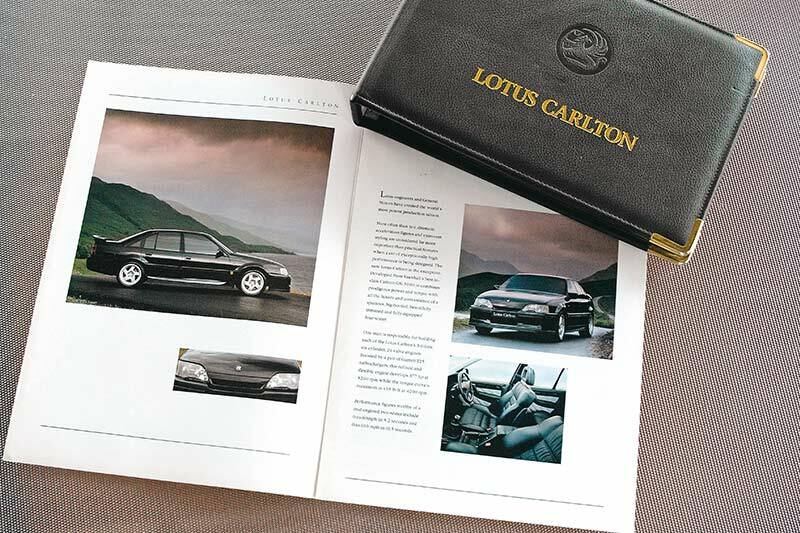 When it went on sale in the UK, the Lotus Carlton was priced at a whopping £48,000 – £4500 dearer than the BMW M5. Because it came fully loaded, options were mercifully non-existent and customers could have any colour they liked, so long as it was Imperial Green. Initially, GM planned a limited build of 1100 cars, with 660 being sold throughout Europe as left-hand drive Lotus Omegas and the remaining 440 cars staying on British soil. It wasn’t to be. Launched at a point where the yuppie boom was heading into serious decline, people simply weren’t prepared to spend that kind of money on a souped-up Vauxhall. Within months of its launch residuals went into freefall with cars losing anything up to £20,000 within their first year. Worse still, the fact that nothing could catch it made the Lotus Carlton the getaway car de rigueur for bank robbers and joyriders alike. As a result, insurance premiums went through the roof with some companies charging as much as £6000 per year. And just like that, Vauxhall’s customers simply melted away. In the end, just 950 cars were made: 666 Opels for Europe and 284 Carltons for the UK. Although none were officially imported into the country, it’s believed two Carltons made it Down Under, one of which, chassis #284, now belongs to Queensland enthusiast Russell Carter, who stumbled upon the mighty Carlton purely by chance. A life-long Lotus fan, Carter had been casually browsing eBay for any interesting paraphernalia when he saw the one-line ad for the Carlton. "Once I saw it, I knew I had to have it," says Russell. As luck would have it, the car was being sold through a local dealer. Russell made an offer and took his new pride and joy home. 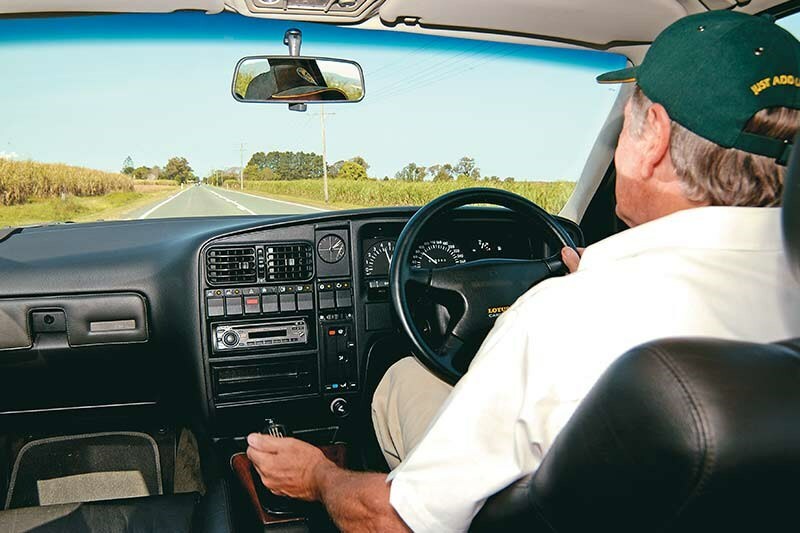 After doing some research on the car, he discovered that both Carltons had been imported into the country in August 1997 to be used as company cars for the directors of a Melbourne car dealership. "To date, we haven’t had a problem with the car, aside from a small water leak," Russell explains. "Our only concern has been with finding someone who knows how to look after them. No one knows what they are, let alone have the necessary diagnostic equipment or experience to fix them if they go wrong." "Then again," he grins, "the fact that no one knows what it is just makes it all the more sweeter when you show them just what it can do!" It’s hard to imagine that the irony of the Carlton’s Q-car status Down Under would be lost on the lads from Hethel. 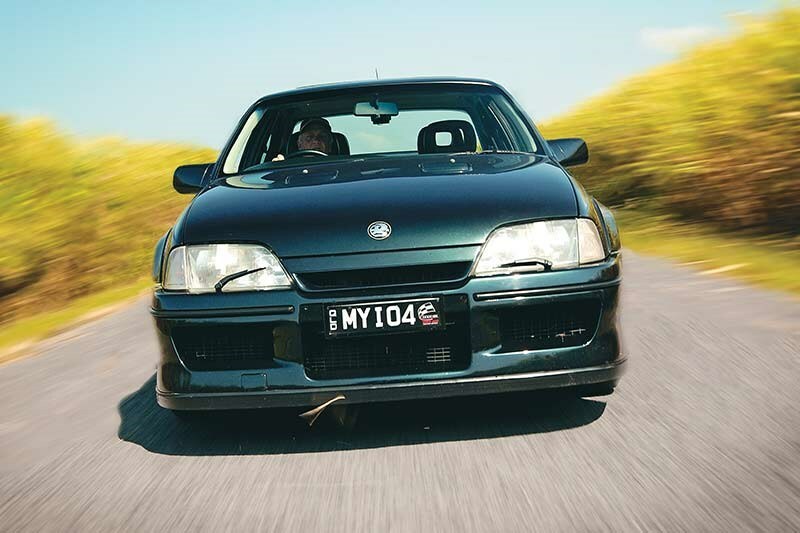 But when their 17-year old legendary super-sedan can leave even the mighty HSV GTS for dead, you’d have to think that it would warm them to know that the old hooligan is still worthy of its reputation as a ‘cause for public concern’. There’s no drama or fireworks from the turbocharged flat-six when fired up, just a muted, bassy rumble. Depress the weighty clutch, sludge the ’box into first and the Carlton takes off as smooth as you like. At normal speeds, it feels instantly tactile, yet perfectly composed. For such a big car the steering feels remarkably direct and precise. The Lotus’ body control is impressive, remaining nicely composed when pushing on, but without ever sacrificing ride quality. 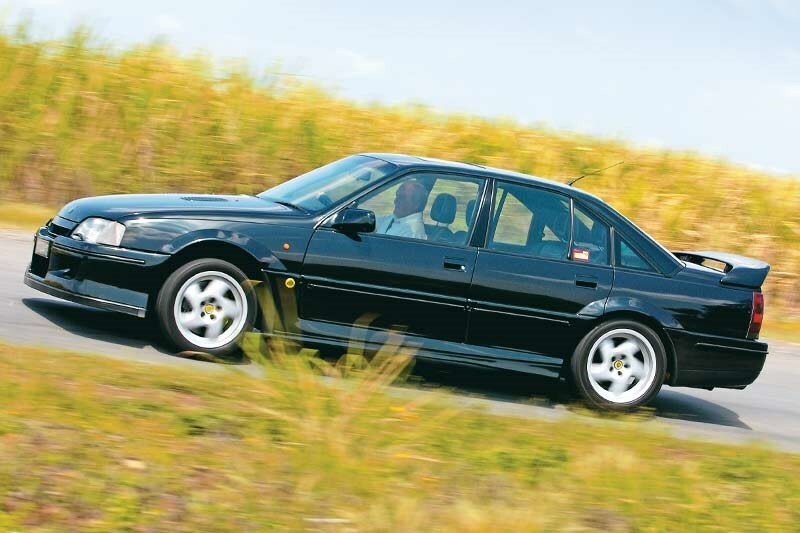 The Lotus Carlton is monumentally quick. But what makes it so devastatingly effective is that the whole package is designed to allow you to exploit 100 percent of power 99 percent of the time. Disrespect it though and you’ll find it will have little hesitation about chucking you through a hedge. 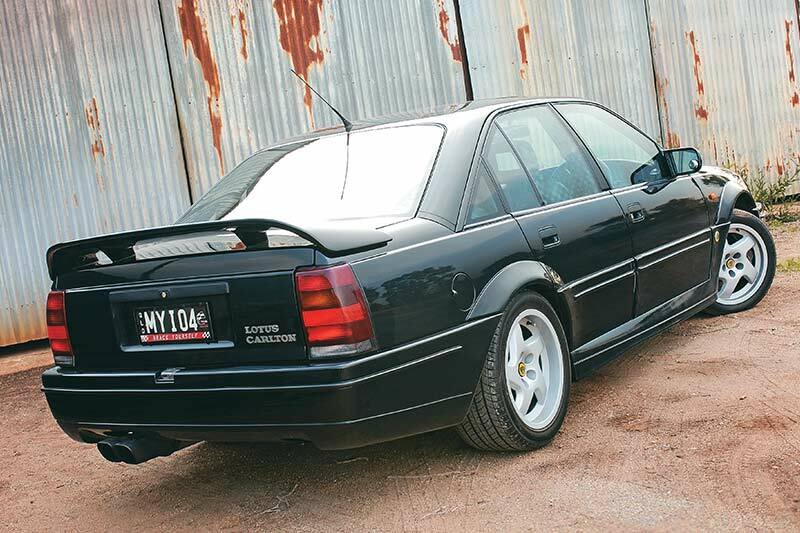 It’s an odd sensation to find that the legendary Lotus Carlton is as good as you hoped it might be, but for very different reasons than its notorious reputation would have you believe. 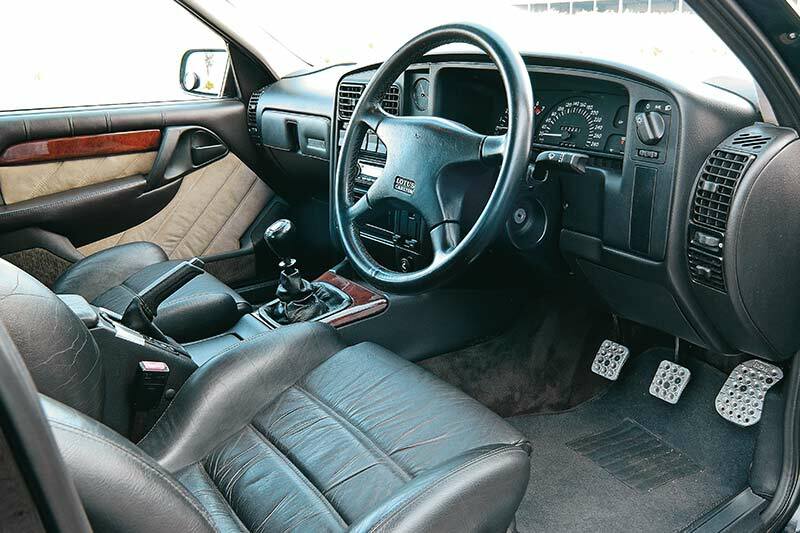 But while it might be a bit of a pussycat on the surface, inside the Lotus Carlton lies a heart of darkness, which makes it feel very special indeed.